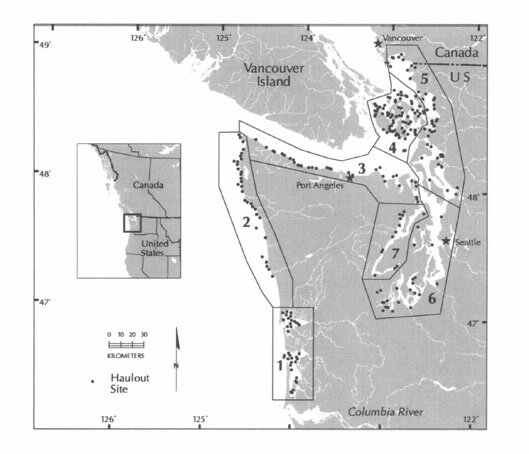 Map of harbor seal haulout sites and survey regions for Washington. The inland stock includes the Strait of Juan de Fuca (3), San Juan Islands (4), Eastern Bays (5), Puget Sound (6), and Hood Canal (7). This page was last modified on 7 March 2011, at 18:23.